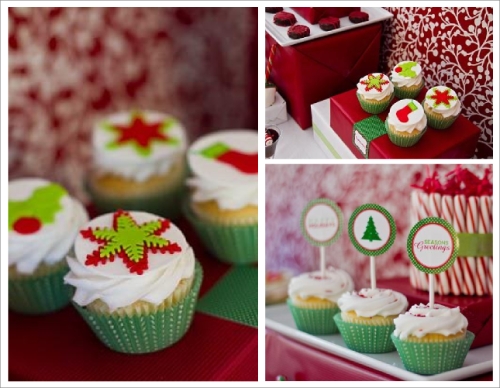 As I am not a fan of mince pies, I LOVE the idea of having Christmas cupcakes instead. 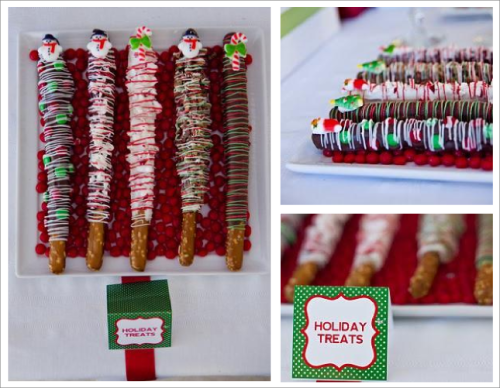 Bring something different and colourful to your Christmas table this year with these delicious chocolate coated pretzels – this could be something fun (but messy) to do with the kiddies too! Mmm Hot Cocoa with mini marshmallow skewers drizzled with red/white chocolate and popped on top – a must have I say! I love the presentation of the Egg Nog’s too with the stripy red and white straws and the red sugar around the edge of the glass. To finish off, why not personalise your bottles of wine on the table and give each of your lovely guests a little treat to take home with them! Printable Christmas Collections coming soon to Dindindies Etsy shop.